Moving the crate we discovered another two large toads and two more smaller ones. 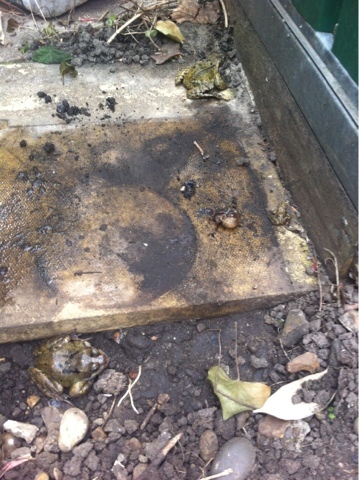 At one point we thought there would be a nasty squishing but thankfully the toad survived the crate being dropped on it. Phew. And double phew. All have hopped off somewhere safer, and I kept my promise of replacing their home. 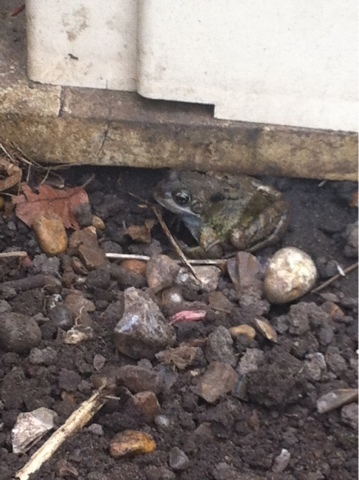 For toads I think it will be a castle, or even their very own Toad Hall.